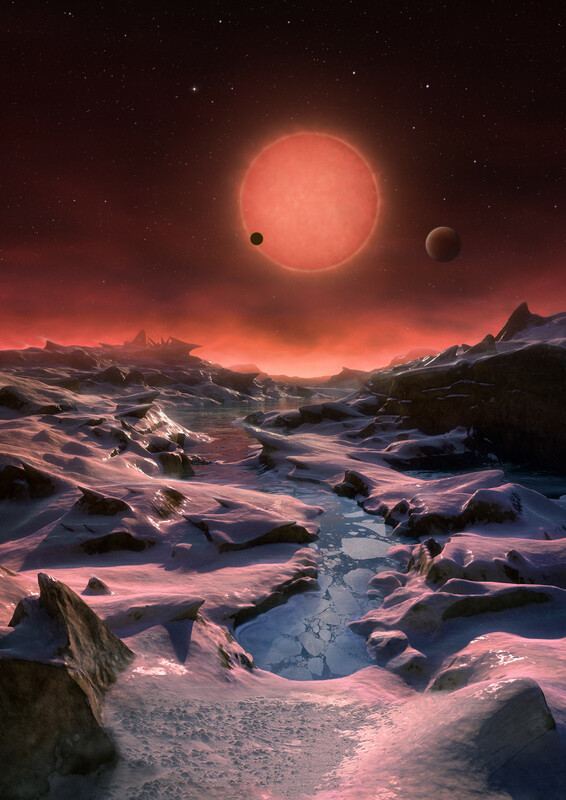 Explanation: Three new found worlds orbit the ultracool dwarf star TRAPPIST-1, a mere 40 light-years away. Their transits were first detected by the Belgian robotic TRAnsiting Planets and Planetesimals Small Telescope, TRAPPIST, at ESO's La Silla Observatory in Chile. The newly discovered exoplanets are all similar in size to Earth. 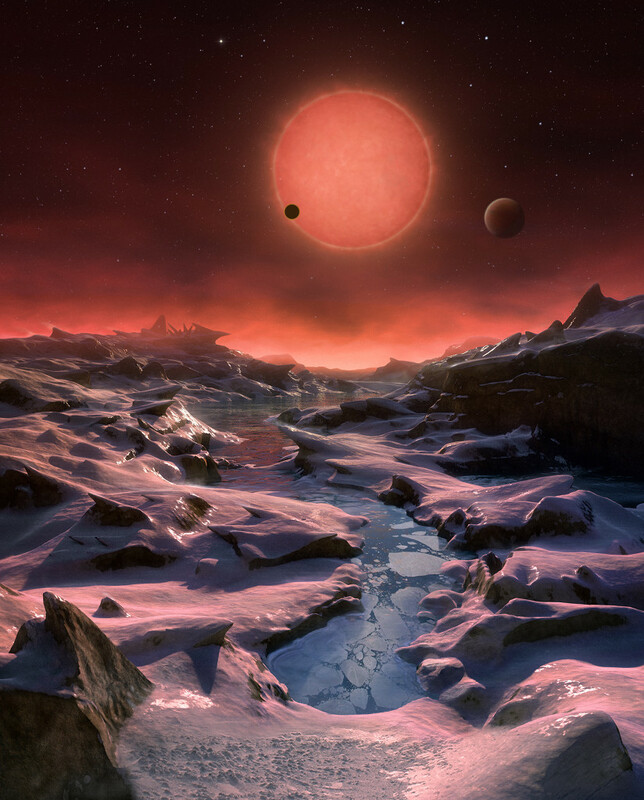 Because they orbit very close to their faint, tiny star they could also have regions where surface temperatures allow for the presence of liquid water, a key ingredient for life. Their tantalizing proximity to Earth makes them prime candidates for future telescopic explorations of the atmospheres of these potentially habitable planets. All three worlds appear in this artist's vision, an imagined scene near the horizon of the system's outermost planet. Of course, the inner planet is transiting the dim, red, nearly Jupiter-sized parent star.